Dig deep: get to know BC’s potatoes! Think those golden fields of canola only grow on Canada’s prairies? Think again: according to Stats Canada, canola has the largest acreage of any grain or oilseed here in BC – 137,000 acres in 2018! (If you’re having trouble picturing that, an acre is about the size of a football field). The “Can” in canola’s name comes from “Canada” where it was developed, although it’s popular around the world. Growing canola is an important part of BC’s agriculture in more ways than one: not only is it used to produce food for humans and animals, but it’s got promise as an ecological replacement for plastics and fossil diesel, and it supports environmentally responsible farming practices like good soil management. 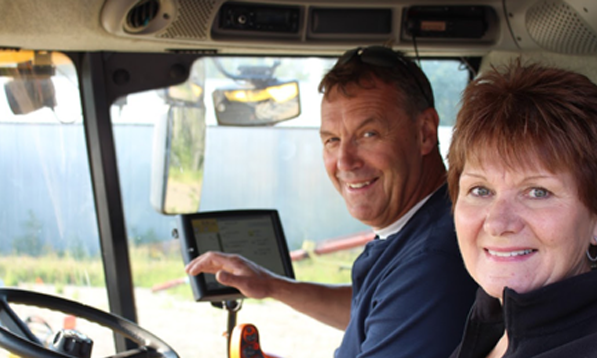 To learn more about BC canola and what it means to growers, we talked to Irmi Critcher of Critcher Farms Ltd. 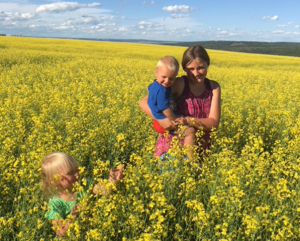 Together with her husband Barry and her daughter Jennifer (an agronomist who also consulted on this article), they produce canola along with oats and other grain crops on their family farm just south of Taylor, BC. Where is canola produced in BC? The majority of canola is grown in the BC Peace region around the cities of Dawson Creek and Fort St. John. Northern BC has the perfect climate for growing canola -- with our longer day length and cooler nights, we get increased oil quality and quantity. Most grain farms in the region grow canola as part of their crop rotation - that’s when farmers grow different crops each year to balance soil nutrients and minimize pests. 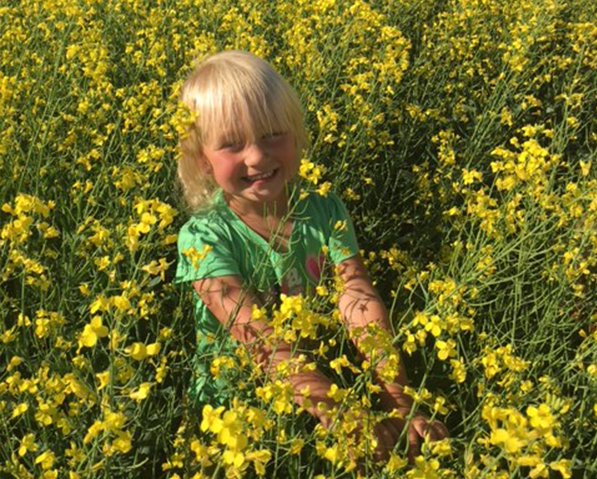 Why is canola such a popular crop for growers in BC? Canola is a popular crop in the BC Peace region and has many environmental and economic benefits. As most of the canola varieties that we grow are herbicide-tolerant, we have the ability to get improved weed control with less impact on other living things -- so insects that are helpful to the land can thrive. And since herbicide-tolerant crops mean you don’t have to till (turn over) the soil as much, these crops are good for the earth: soil erosion is reduced, carbon is stored, and the soil retains moisture during dry times. What is canola used for? One of the main uses for Canola is oil. The seeds are up to 44% oil - more than double the oil content of soybeans. Canola is one of the world's healthiest vegetable oils. When it comes to cooking, in addition to its heart-healthy properties, canola oil is versatile and tastes delicious. After the canola has been crushed and the oil has been extracted, the by-product (called canola meal) is used to make livestock feed for cattle, poultry, swine and fish. When fed to dairy cows, it can help to increase milk production by one litre per day! We heard canola can also be used as fuel - can you tell us more? Canola oil can be used for many industrial purposes - it's the crop of choice for Canadian-produced biodiesel because of its exceptional cold weather performance. Compared to fossil diesel, canola biodiesel reduces life cycle greenhouse gas emissions by 90%. Other uses for canola oil are still being developed - like its potential for bio-degradable plastics or as a conditioner for jet fuel, just to name a few. 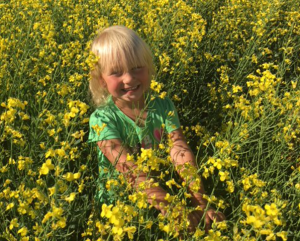 How do you responsibly manage the environment when you are growing canola? In the Peace Region of BC where most of the canola is grown, all canola is grown “on dry land”, meaning that we usually have enough rainfall to sustain a crop without irrigation. However, in the years that we do experience drought or extreme wet, that’s when our soil management best practices are demonstrated. Good soil management increases the soil’s ability to hold moisture in a drought, and also improves drainage during periods of extreme moisture. We care for the soil by using practices such as minimum tillage, and spring fertilizer application to limit erosion of soil and leaching of nutrients into the water supply. We also take soil samples to monitor any changes in nutrient levels, organic matter and PH.